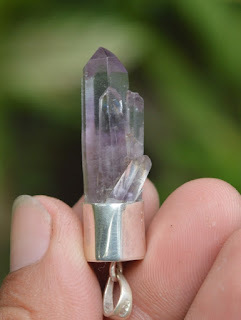 This is a special Natural Amethyst Crystal. This crystal is unpolished, it still has its natural shape. 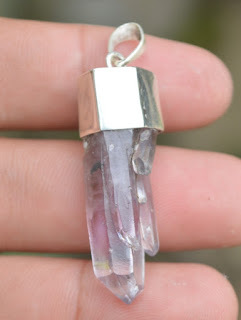 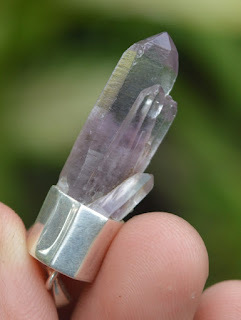 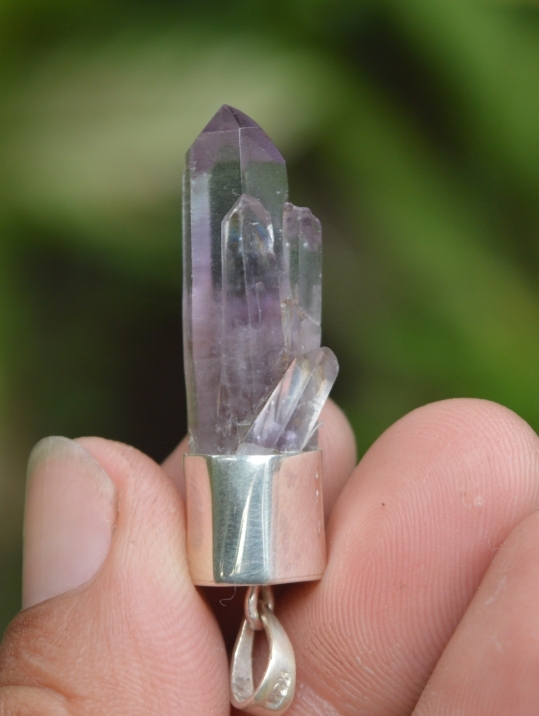 This amethyst crystal is already set on a handmade silver pendant. 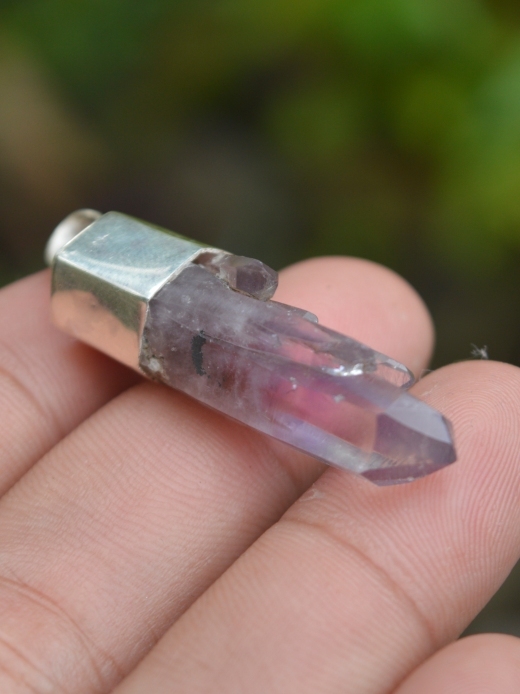 The size of the gems is (est) 38mm x 13,5mm x 10mm. 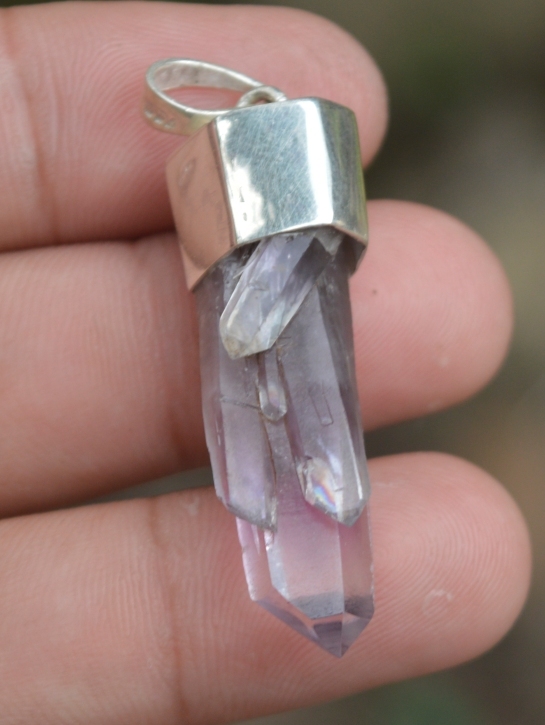 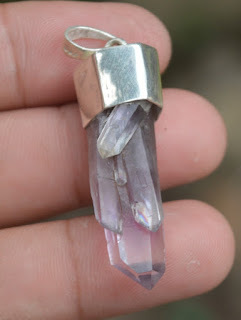 A very unique natural Amethyst Pendant!